Everyone loves chocolate and they will love it even more when you pair it with their favorite bottle of wine. Select a red, white, sparkling wine or champagne to complement this delicious basket of gourmet chocolates and cookies. 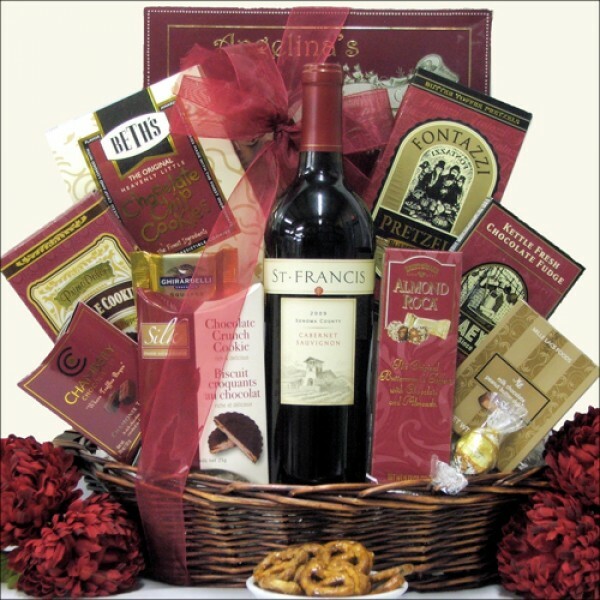 Featuring Ghirardelli, Lindt and more, they will have ''sweet'' memories of this basket for days to come.